With summer approaching, Danang’s magnetic appeal is growing big, attracting large number of locals and visitors to a wide variety of events and activities. Let’s go through the Top 10 most fascinating events with Danang FantastiCity! The festival will take place from 3th April until 6th April. The opening ceremony will be held at 7am, 6th April with an upholding respect to tradition, gratitude for the ancestors who first took residence in the new territory and fostered prosperity. The mega night show was organized as part of Danang Independence Day Commemoration 29/03/1975 – 29/03/2019. 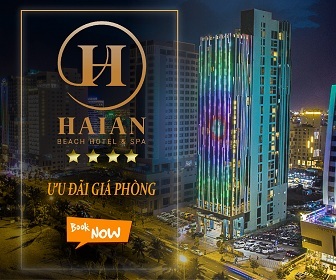 On this occasion, Sun World Danang Wonders will launch an appreciation programme which offers ticket price at only 50,000VND/ticket for residents in Hue -Quang Nam – Da Nang as a gratuitous gesture. *The appreciation programme will be effective from 18th March to end of 17th April 2019. The official show from Vietnam Kid Fashion Week 2019 hosted by supermodel Xuan Lan will take place at Premier Village Danang Resort managed by AccorHotels during two days of 6th and 7th April, 15:30 – 17:30. If you don’t want to miss this unique fashion show, contact us immediately through email [email protected] or phone +0236 391 9999. Vietnam Fitness Model 2019 has chosen 20 candidates from Southern region (10 male, 10 female), 10 from Northern region (7 male, 3 female) and 10 from Middle Coast region (6 male, 4 female) who will be competing at the grand finale in Danang from 7th to 12th April 2019. This year with theme ‘The Cao Lau Challenge’, the festival will make a comprehensive presentation of Hoian traditional dish, with chefs improvising the local famous specialty in various signature styles. 10 chefs from as many countries as Germany, Japan, France, Hong Kong, Thailand, Malaysia, Indonesia, Philippin and Vietnam will turn their talents into wonderful dishes at ‘International Cuisine Festival’ at Hoian ancient town. Exclusively, from 17:00 to 21:30 12th-14th April 2019 at Hoian sculpture garden, participating chefs will be performing the art of Cao Lau-making and serving visitors at food stands. Couldn’t make it to the Songkran festival in Bangkok next week? No worries! We have it in store for you an even more amazing opportunity at Songkran Pool Party at Floor 36, Four Points by Sheraton Danang. Top-notch music with DJ Stefan Paunescu, a variety of food booths, different original tropical cocktails and unlimited amount of Thai beer – an awesome occasion you can hardly afford to miss! Call up your friends to have a memorable night at Horizon Bar! Call us at (+84) 2363 99 7979 to book your slot! If you happen to be in Danang this Hung Kings Commemoration Day, you would not want to miss this fantastic opportunity to watch super chefs compete in a cooking battle at Novotel Danang! Skillful, delicate cuts from the Vietnam Iron Chefs and executive chefs from 5-star hotels and resorts in Danang are expecting you. The book fest sees various discount programs from 10% to 50% for all merchandise. Especially within the last 3 days of the book fest (19-21.4.2019), there will be even more greater deals for book seekers. For the first time, JINHOON in Executive Director, Casting Director, Catwalk Director…hoping to use personal career experience to create a fascinating and high-quality fashion show. The show will be held at luxury resort Naman Retreat Danang on 25th April. This year, the organizing committee will offer locals and tourists new programmes and activities during the holiday 30.4-1.5. Environmental program ‘Collect trash and give back love’, showcase of art objects made from recycled trash, chess contest at Ban Co Mount – Son Tra Peninsula, Hot Air Baloon show, Beach Running contest and a mega music party with many famous voices.